SPRING IS IN THE AIR. BASK IN IT, BREATHE IT IN, AND THEN ENTER TO WIN. There is nothing quite like spring. The cool air. The soft, replenishing rain. The buds on the trees bringing new life back. Spring has got to be one of the happiest times of the entire year. The prospect of summer warms us to our cores and excites us for what is to come. To make this time even more joyful, we at Skin Research Laboratories® are hopping into spring by giving away a product to help you spring into longer-looking lashes. The product is great, winning is simple, and the weather is out of this world. So, why not enter? How to enter is below. Make sure you follow us on Instagram to ensure you don’t miss a post. All entrants must also follow us on Instagram to be entered into the contest. The first step to winning neuLASH® is to follow us on Instagram. It is easy and takes just a matter of seconds. Click here to be taken to our Instagram page. Click the "follow" button and get ready to win some awesome free product. Just like Elmer Fudd, you will have to hunt wabbits to win this contest. Except, you will not be shooting any wabbit. Instead, you will admire its cute, adorable face that is hidden in a product image this week.  If you find the rabbit, open up the image and leave us a comment and tag three friends in that comment. As mentioned in the previous step. The final step, after you hunted some wabbits, is to leave a comment and tag three people in it. Once you have tagged three friends in your comment, sit back, relax a bit, enjoy the fresh spring air, and wait for us to draw a winner's name at the end of the week. Entries will be accepted until Friday at midnight. The winner will be announced Monday, April 29. Stay tuned to our Instagram to ensure you don't miss a thing! 1. PROMOTION DESCRIPTION: The Hop into Spring Giveaway (\"Sweepstakes\") begins on April 22, 2019 at 7:00 AM PST and ends on April 26, 2018 at 11:59 PM CST (the \"Promotion Period\"). The sponsor of this Sweepstakes is Skin Research Laboratories® ("Sponsor"). By participating in the Sweepstakes, each Entrant unconditionally accepts and agrees to comply with and abide by these Official Rules and the decisions of Sponsor, which shall be final and binding in all respects. Sponsor is responsible for the collection, submission or processing of Entries and the overall administration of the Sweepstakes. Entrants should look solely to Sponsor with any questions, comments or problems related to the Sweepstakes. Sponsor may be reached by email at customerservice@skinresearchlabs.com during Promotion Period. 4. HOW TO ENTER: Enter the Sweepstakes during the Promotion Period at Instagram.com/skinresearchlab by finding the promotional product post with a hidden bunny in the picture, tagging three friends in the comments of said post, and following @skinresearchlab. Entrants are eligible to enter once. Automated or robotic Entries submitted by individuals or organizations will be disqualified. Internet entry must be made by the Entrant. Any attempt by Entrant to obtain more than the stated number of Entries by using multiple/different email addresses, identities, registrations, logins or any other methods, including, but not limited to, commercial contest/sweepstakes subscription notification and/or entering services, will void Entrant's Entries and that Entrant may be disqualified. Final eligibility for the award of any prize is subject to eligibility verification as set forth below. All Entries must be posted by the end of Promotion Period in order to participate. Sponsor's database clock will be the official timekeeper for this Sweepstakes. 5. WINNER SELECTION: The Winner(s) of the Sweepstakes will be selected in a random drawing from among all eligible Entries received throughout Promotion Period. The random drawing will be conducted on April 29, 2019 after deadline of Promotion Period by Sponsor or its designated representatives, whose decisions are final. Odds of winning will vary depending on the number of eligible Entries received. 6. WINNER NOTIFICATION: Winner will be notified by Instagram Messaging at the handle provided as the Entry Information approximately 0-7 days after the random drawing. Potential Winner must accept a prize by Instagram Messaging as directed by Sponsor within 2 weeks of notification. Sponsor is not responsible for any delay or failure to receive notification for any reason, including inactive Instagram or email account(s), technical difficulties associated therewith, or Winner’s failure to adequately monitor any Instagram or email account.